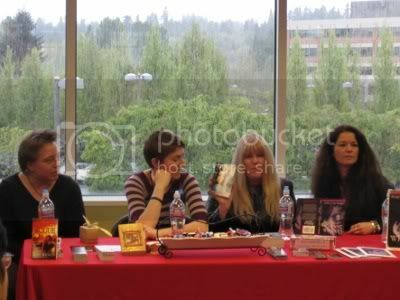 I thought I’d take this opportunity to post photos from my two signings. 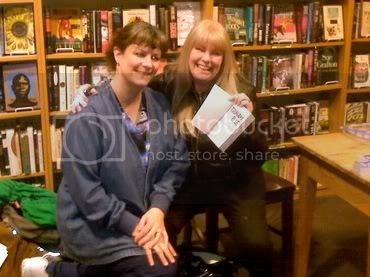 Here are a couple from the first one at Third Place Books with Gayle Ann Williams (whose book Tsunami Blue you all need to read–I finally finished it a couple weeks ago and LOVED it! I’ll be giving away a copy here at some point, too). Sorry some of these are not great quality, they were taken on a phone! 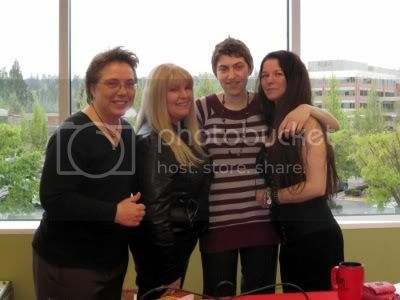 Thank you to all my friends and fellow GSRWA members who came and made the events so fun and successful! Oh man, I will totally watch original Charlie’s Angels with you. You know, once we finish our GIANT Things To Watch list. Also those pictures are all really great. Yay! 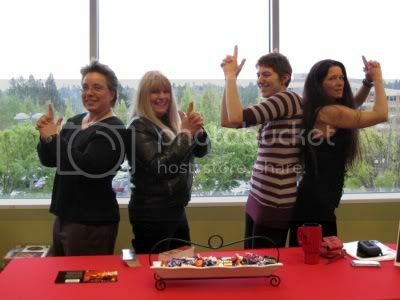 Charlie’s Angels is in our future! Doesn’t it look amazing? Well now I have to know what you think of Gossip Girl. I started watching it with a massive chip on my shoulder (“THIS is what you choose to run instead of Veronica Mars?”) but its cheesy goodness has grown on me. Something I particularly enjoy is watching Kelly Rutherford (Serena’s mom) wield her cellphone. She gets the kind of mileage out of that prop that old-time movie stars got out of cigarettes. I definitely didn’t think I would love it based on the promo shots (which is all I knew about it prior to watching it) but I do! I will have to keep an eye out for Lily’s cellphone! I love her a LOT. After Blair and Chuck she may be my favorite character on the show. My favorite thing about her so far is that annoyed look she gets when she’s in an awkward social situation, like in the Thanksgiving episode. She goes right past feeling awkward (or maybe multitasks) and into Really? Do we really have to do this? Why is this happening to me? It’s fabulous.